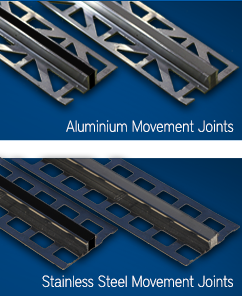 Movement Joints are a vital part of the floor construction. The ultimate floor covering can only fulfil its function where the correct specification is followed. Substrate preparation – the correct adhesive, applied correctly – good technique and movement joints, correctly placed, are required for success. We provide quality profiles that fully meet the requirements of BS5385.